In my reply to several comments to my post of 9th January 2010 I pointed out that the Buddha could be very critical when he thought it was necessary, and that on occasion his criticism could be quite hard. I gave as an example of this the sutta where he compared some brahman’s behavior unfavorably with that of dogs. In reply to this Yuri wrote that there could only be two explanations to this admittedly harsh comparison – that either (1) the Buddha was contradicting his own teaching or (2) that the text has got corrupted, i.e. that the Buddha never really said this. I would like to say something about Yuri’s comments as he is a regular and a valued reader of my blog and often has something useful to say. I know of nothing the Buddha ever said or did that contradicted what he taught. Yuri thinks that the Buddha must be contradicting himself by criticizing brahmans because he (Yuri) thinks that Right Speech mean that we must never say anything unpalatable or that might challenge or upset others. (Hitler! Such a nice fellow but badly misunderstood. And anyway, who are we to speak! You must keep in mind that he had a difficult childhood. And don’t forget, he loved dogs. And Pol Pot? Lovely chap! Of course he might have made a few mistakes. But haven’t we all?). The Buddha never said that we should not criticize others or upset them. Prince Abhaya once asked him if he could ever ‘use speech that was disliked and disagreeable to others’. The Buddha replied that he could, but added the proviso that he would always do it out of compassion and at the right time (M.I,395). 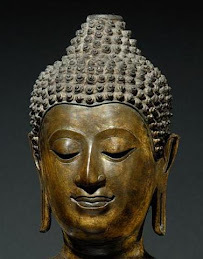 The Buddha was ‘a teacher of gods and humans’ and given human defilements and delusions, a teacher might sometimes have to censure, scold and rebuke his or her students. And the Buddha did not shy away from doing so. Therefore, in criticizing the brahmins, and perhaps even offending them in the process, the Buddha was not contradicting his Dhamma. So is it possible that the ‘brahmans like dogs’ text is corrupt or ‘put in later’, and is therefore not really authentic Buddha Vacana? Perhaps, but there is no evidence for this. Yuri thinks this is must be the case because he, like many people, just can’t imagine the Buddha being changeling, upfront or critical with his appraisal of certain ideas or actions. If the text under discussion was the only one where the Buddha was critical we might consider the possibility that it is a later interpolation. But it is by no means the only one where the Buddha is depicted as being very straightforward. 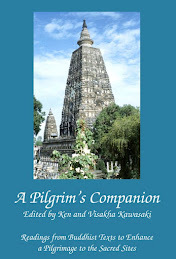 When Devadatta tried to take over the Sangha the Buddha called him Chavassakhelapakassa! If you want to know what this means have a look at http://sdhammika.blogspot.com/2008/05/insults.html When he was comparing his Dhamma with other teachings he was usually generous, mild and restrained, but certainly not always. He considered Makkhali Gosala to be a fraud and his teaching to be harmful nonsense. ‘I know of no person who causes such loss to the many, such discomfort to the many, such loss, discomfort and sorrow to gods and humans as Makkkail, that infatuated man’ (A.I,33). And he was even harder on his ideas. ‘Just as a hair blanket is considered the meanest of all woven cloth, being as it is cold in the winter, hot in the summer, ugly to see, bad to smell and unpleasant to touch, so to, of all theories taught by ascetics, those of Makkhali are the most miserable’ (A.I,286). He could be very brisk with those who distorted his own Dhamma and was quick to rebuke them and correct them when they did. ‘Stupid man! (mogha purisa) When have you ever known me to teach the Dhamma like that? Stupid man! In many discourses have I not explained that obstructive things are obstructions..? But you, stupid man, have misrepresented me by your wrong grasp, harmed yourself and stored up much demerit which will lead to your harm and suffering for a long time!’ (M.I,132). The brahman Lohicca got the idea that one attained enlightenment it would be wrong to teach it to others ‘because what can one person do for another’. The Buddha told him that he considered this to be ‘an evil line of reasoning’ (papakam ditthigatam upannam) and a ‘false view’ (miccha ditthi) that could well result in being reborn in purgatory (D.I,227). The ascetic Nigrodha is depicted as a bit of a boaster who thinks in a debate he could send the Buddha away with his tail between his legs. 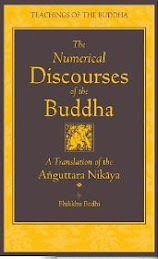 The Buddha comes to hear of this boast and goes to meet Nigrodha and his cronies. After teaching them the Dhamma and trying to reassure them that his aim was to help them, not just to make converts, he waits for them to ask him more about the Dhamma. When they don’t, almost in exasperation, he says, ‘Every one of these stupid men is so possessed by Mara in that not even one of them thinks, “Let us follow the holy life under the monk Gotama”’ (D.III,56). Then he turns and leaves. There are many more examples of the Buddha speaking his mind. So the ‘brahmans as dogs’ text is unlikely to be a later interpolation because its theme of criticism is anything but out-of-place or unique in the Tipitaka. Of course, to think that the Buddha spent all his time rebuking and criticizing others and their ideas would be wrong. But it would be just as wrong to think that he never censured, challenged or criticized, which is a modern construct just not consistent with his character as depicted throughout the Tipitaka. But returning to Yuri’s comments, we should never forget that we (or at least I) do not have the Buddha’s sensitivity and patience, his tact and wisdom, and we need to be cautious and reserved with out criticism. And as is to be expected, the Buddha gives some excellent advice we need to consider whenever we feel that a rebuke is necessary, see for example A.II,100 and M.I,395. But one of my favorite pieces of advice on this subject is to be found in the Bhaddali Sutta. Referring to monastic training, the Buddha says that if senior monks rebuke and correct a junior monk constantly and for every little mistake, he may well become despondent and lose heart. He compares the situation to a person who has only one eye. Those who care about him should guard his good eye with great care (M.I,444). I assume this simile is meant to suggest that at times, overlooking the problems and focusing on the good points is more helpful. Contradictions, Interpolations, and Criticisms - sounds like a good name for a Blog. Dear S.Dhammika, I understand that your want to justify the use of harsh and even abusive words in criticising other people's views or behaviour. You are entitled to your opininon, and more so as you find appropriate examples in the Scriptures. With all that, my own feeling is that harsh and abusive words are harmful both for the purpose of the criticism and for the speaker himself. It is not just my idle thought but is supported by my teaching experience. And I try to avoid harsh speech even if the Buddha resorted to strong words (which I still doubt very much). As to your use of Hitler to justify your point, I think it went a bit too far. But I would not call even Hitler a corpse-licker, even if he deserved it. And he did. But the problem is not Hitler but the wrong speech. Criticism can be helpful but the choice of words, I believe, should be careful, as the purpose is not to enjoy one's righteousness but to help people to change their wrong ways. "The Buddha called his teaching a Raft. To cross a turbulent river we may need to build a raft. When built, we single-mindedly and with great energy make our way across. Once across we don't need to cart the raft around with us. In other words don't cling to anything including the teachings." We won't understand Buddha's choice of words if we have not reach the other shore. I guess it has got something to do with the law of kamma. Only Buddha knows. One of the earliest childhood rhymes I learned growing up in rural Michigan was "Sticks and stones may break my bones but words can never harm me." It worked like a charm and that's how we used it when other kids insulted us. Dear Ken and Visakha, but can you imagine the Buddha among those children showering insulting words on you? And words do hurt and the Buddha spoke about it and wanted us to beware of anger of our tongues. With practice one becomes less affected by angry words from others and stops using angry words himself. Dear Riglin, we cannot be sure about what words the Buddha really used. 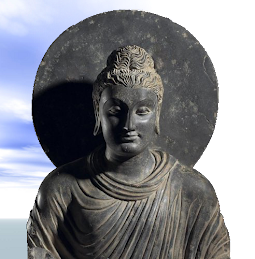 Ajahn Brahm correctly says that even Theravada cannot claim that all that is written in Tipitaka are genuine words used by the Buddha. And it is not really necessary to wait till sambodhi to become aware of what corresponds to the basic teaching of Buddha and what doesn't. This comes with the practice. Yuri, perhaps you are attached to your own criteria for speech? Not everything unpleasant to the ear is harsh speech. Let's be honest -- some people are worse than dogs, who have their own honesty. Pretending everything is fine and dandy doesn't make it so. Brutal actions shouldn't be whitewashed or euphemized. That would be lying! As a teacher, I always felt it my responsibility to call bullying what it was, cowardly and unjust. Cheating too. The reason was to correct students who were going wrong and to protect other students from them. What always seemed important to me was the intention, which needed to be kind and the way of doing which needed to be skillful. Anger, in my experience, is never skillful. Very strong words, however, might be necessary to show that the situation was serious, out of the ordinary. Dear Visakha, I do not think it is the matter of attachment. Probably school children create different problems, but I teach students of business and economics. I used to be quite strict with them, but after some success in meditation, my attitude changed. And their response to sincerity, kindness and understanding is very positive. And it is not any special method of teaching which I decided to try. It is now my natural behaviour as I have changed. I do not overlook my students' wrongdoings but I try to deal with them without rebukes but patiently explaining what is wrong and how to correct it. It works! As always, an instructive read. As often, some interesting typographical errors. I particularly liked the transposition of changeling for challenging. It distracted me from the text for a few minutes as I imagined the Buddha as a divine child replaced by fairies. Thanks for pointing out the spelling errors. This is a real problem for me caused partly by the computer and partly by my dyslexia. I misspell a word, the computer ‘corrects’ it incorrectly, I miss it when I re-read what I have written and we end up with changeling instead of challenging. Its rather frustrating. Dear S.Dhammika, the very first post of yours I read on this blog was "On Body, Speech and Mind" and it impressed me strongly. Let me quote you: "Refraining from harsh language, I will speak words that are blameless, pleasant, easy on the ear, agreeable, going to the heart, urbane, pleasing and liked by everybody". Couldn't put it better! ;))) Though the last three words are probably too unrealistic. Even the Buddha could not speak like that! You’ve made your point, I’ve made mine. Lets move on. Dear S.Dhammika, yes, surely! Only a minor correction: you made two points and with one of them I am in full agreement. :) And using Hitler's analogy was, I feel, unnecessary just as probably this very comment of mine:). I think, simply put, if what we say is done "out of compassion and at the right time", it can't be wrong. But it is absolutely a difficult if not impossible proposition, since we are not the Buddha, or even a bodhisatta. Just ask ourselves: Really out of compassion and not our ego? Really at the appropriate time? Correction: The phrase "or even a bodhisatta" in my earlier post should be "or even a trillionth of a bodhisatta". Yuri said, "And even if the Buddha did use them, I won't!" Yes, we should not think we can immitate the Buddha's speech. I think there is an unconscious "carry forward" of a Christian mindset in this examination of how the Buddha behaved and, after that, to try to order our behaviour (and speech) accordingly. In Christianity, it is the "Immitation of Christ", Jesus being regarded as the perfect Man for every Christian to model themselves. But whatever the Buddha said, it was done "out of compassion and at the right time". Even apparently abusive remarks, if he indeed said them, was not abusive in intent. If we want to immitate his "harsh" speech, we need to make sure it is said 100% out of compassion (and at the appropriate time!). I have been trying to define for myself a problem I see in some Western Buddhists, and I find it in your comment - «Christian mindset». Even in their attacks on Christianity or on fellow-Buddhists they speak guided by this mindset. It could be expected and is fully understandable. 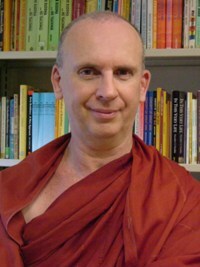 But I am wary of calls for Western Buddhism, as I am afraid it would most certainly be a cocktail of Dhamma and Christian mindset. Just as Christianity itself is a mixture of a true buddhist-like teaching of Jesus (in the Gospel of Thomas) and Old Testament mindset. Jesus warned his disciples about pouring new wine into old wineskins and using a patch of new cloth on an old garment. And the Buddha also warned about many ways typical for God-centred religions like relying too much on Holy Scriptures. Ajahn Brahm pertinently called it eating menu unstead of a meal! :) The cure for these is personal efforts and experience in taking the Noble 8-fold Way. I find myself agreeing with most of what you say in your last post, and even in those parts where I yet agree it is because I have no perception of the issue yet, but they direct my mind to where perhaps I need to "watch". Thank you. In the encounter with Prince Fearless, the Buddha gave an analogy using the baby that the Prince was holding. If the baby choked, would you stick your finger into the baby's mouth to remove the blockage even if it hurts the baby? I think the answer is obvious to many of us. Similarly when words need to be said to prevent greater harm, it should be said at the right time. The difference with the "harsh" words spoken by an Enlightented being is that anger does not comes with it. We often view harsh words as expression of anger and thus some of us may find it contradicting for the Buddha to say anything harsh. I am a volunteer teacher in a local children Dharma school. Very often, I have to remind myself to be mindful of the anger/irritation arising in me when I have some harsh words to say to my pupils. I can be harsh but I should not be mean. One example will be when I hear vulgarities uttered in my class (whether out of habit, pure fun or with angry intention). When my pupils see their often crazy and fun-loving teacher suddenly stopped the class and give some very harsh words in all seriousness, they know it's a habit that have to break even if at times it's just a playful utter. I am not advocating that we should all use harsh words at the right time just 'cos even the Buddha did so. Afterall for unenlighten ppl. like us, anger/irritation often follows after a few harsh senstences. That's when we lose it all.